Andres Manuel Lopez Obrador, the second-placed candidate in Mexico’s presidential election, has said he will mount a legal challenge to the result. Enrique Pena Nieto was confirmed the winner on Friday after a final recount, with 38.21% to Andres Manuel Lopez Obrador’s 31.59%. Six years ago, after losing the presidential election by a narrow margin, the left-wing Andres Manuel Lopez Obrador led weeks of protests that caused disruption in central areas of Mexico City. It is not just Andres Manuel Lopez Obrador’s team who are pushing for alleged irregularities to be investigated. The president of Mexico’s electoral body said on Friday following the recount that there was no reason not to accept the result. But Andres Manuel Lopez Obrador, of the Party of the Democratic Revolution, said the election had been fraudulent and that he would file an appeal next week. He accuses the party of Enrique Pena Nieto, the PRI, of paying for votes using gift cards for a supermarket chain. 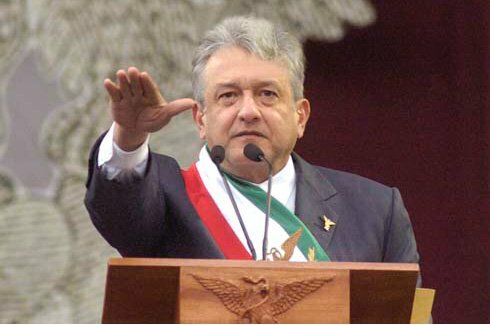 Andres Manuel Lopez Obrador promised to keep protests peaceful and “act responsibly”. Enrique Pena Nieto, of the PRI party, said he had done nothing wrong and said he may sue his opponents over the allegations. The election had been a tortuous process, and Enrique Pena Nieto is unlikely to see a quiet acceptance of the result. Mexico’s Federal Electoral Institute has until early September to address complaints and formally announce a winner in the presidential election. Natalie Wood's death certificate changed to "Undetermined"